Hi my beautiful, beautiful friends!!! It’s been awhile since I’ve written a post.. I know! I’m sorry!! But now that you guys are a little caught up on what’s going on with me, let’s get into today’s topic! While I’ve heard a good skin care routine does wonders (I’m sure it does!! ), I unfortunately have yet to develop one that I like. But I have pretty sensitive skin when it comes to packing on layers of different creams, moisturizer’s, toner’s etc, so my “routine” if you can even call it that haha, is pretty BASIC! I don’t even like getting facials for that exact reason. They put layer, after layer, after layer and by the time they are finished, I just feel like I have a bunch of gunk on my face that is just clogging all my pores!! I’m sure that’s not the case though, but I’ve never had to deal with acne before.. Don’t get me wrong, I’ve obviously had blemishes here and there, but my skin has been pretty clear my entire life. So why mess with it now?! Whenever I try sunscreens or even some moisturizer’s, I’ve noticed tiny little bumps appear within a day or two of using them! And naturally I panic. Stop using them right away and go back to the basics. I mean, I don’t even wear foundation! Not because it makes me break out, but just because luckily I’ve just never needed to. And it gives me peace of mind! haha! One less thing I have to worry about packing on my face!! Instead, I just sweep some light powder over my face and call it a day! As I’ve mentioned in a previous post, a good skin care routine is VERY important!! Especially a good moisturizer! Literally to this day… Or rather, to yesterday..
People still think my mom is my sister. Soooo either I look old lol… or my mom still looks young! And I think it’s the latter… at least I hope! 😂 But what’s the secret you ask?! Using moisturizer EVERY SINGLE DAY! One that has sunscreen in it!!! So I’ve been trying out a BUNCH!!! And obviously wanted one super light-weight, one that didn’t feel caked on, one that didn’t make me break out, one that didn’t make me feel oily etc etc. The list goes on! 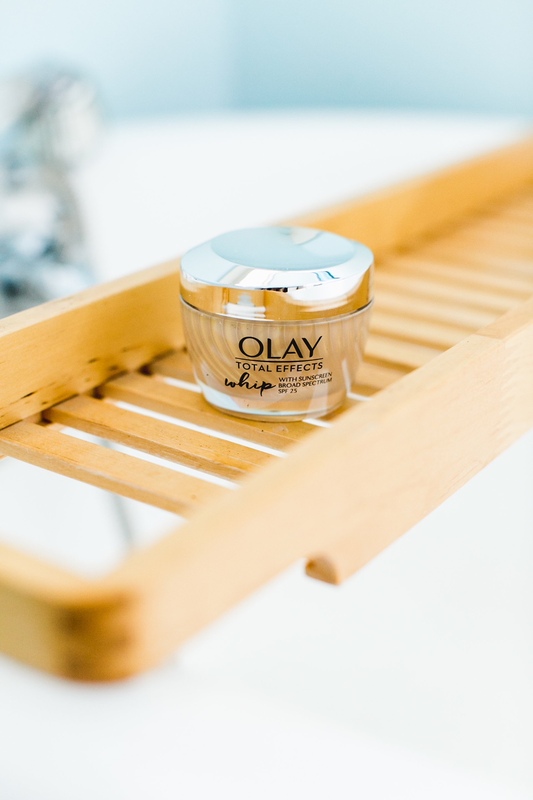 Well… Olay Total Effects Whip Moisturizer with SPF 25 was the winner!! 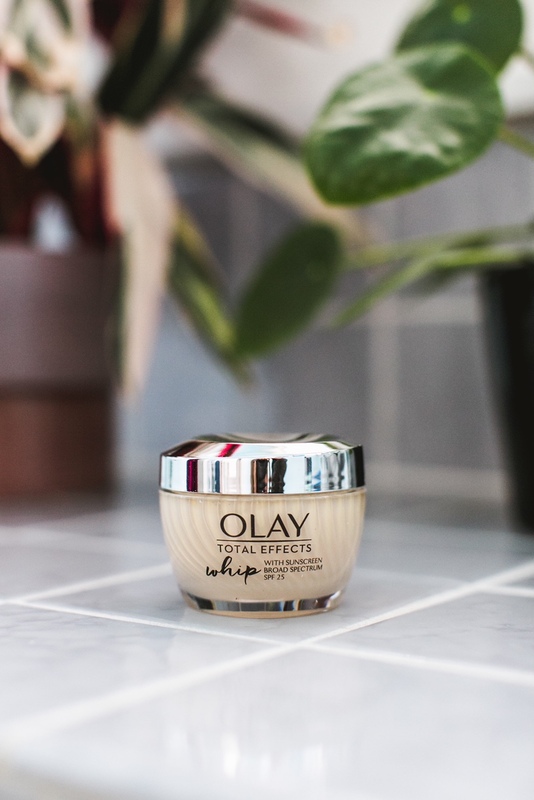 Not only does the Olay Total Effects Whip Moisturizer have SPF 25 in it (whoohoo! ), it also has vitamins C & E too! And I barely even feel it on my face, it’s so light-weight! 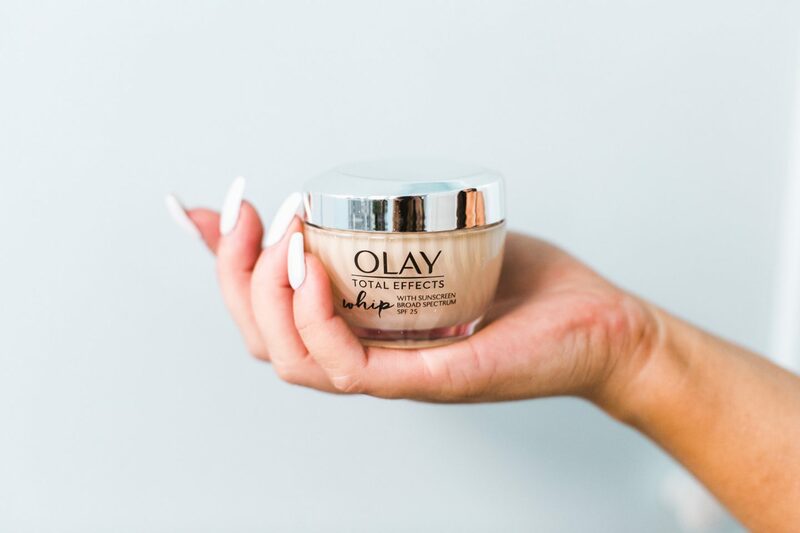 It literally transforms from cream to liquid immediately after I put it on my face! I can’t tell you guys how happy that makes me!!! I’ve literally been searching for years for a good moisturizer that covers all the basis and I can’t believe I’ve finally found it! And for those of you wondering, I’ve been using it religiously for about 3.5 weeks now, so I think we’re past the trial period! Thank goodness! lol! But I’ve also noticed a reduction in some of my fine lines around my eyes and really just a more firm look in my skin overall. 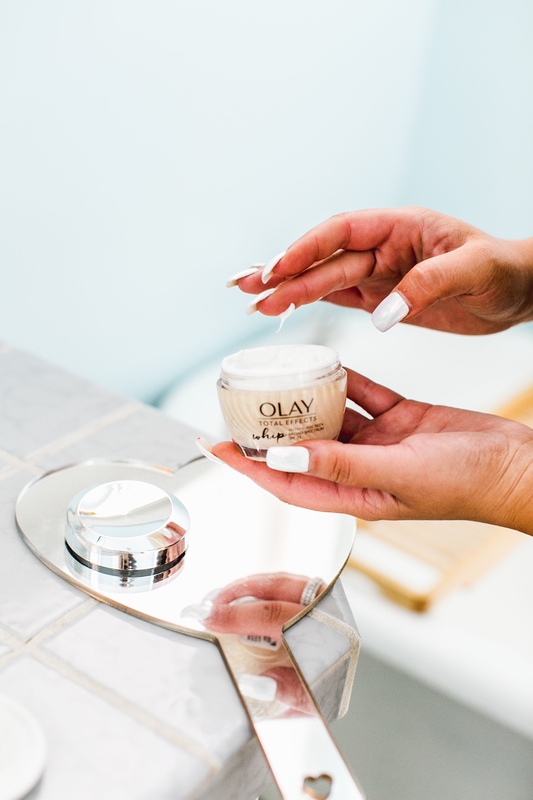 So if y’all are looking for a new moisturizer (hopefully one with SPF – but they also have ones without), then I def recommend checking out Olay Total Effects Whip Moisturizer available at Target! And if you do, let me know how YOU like it!! 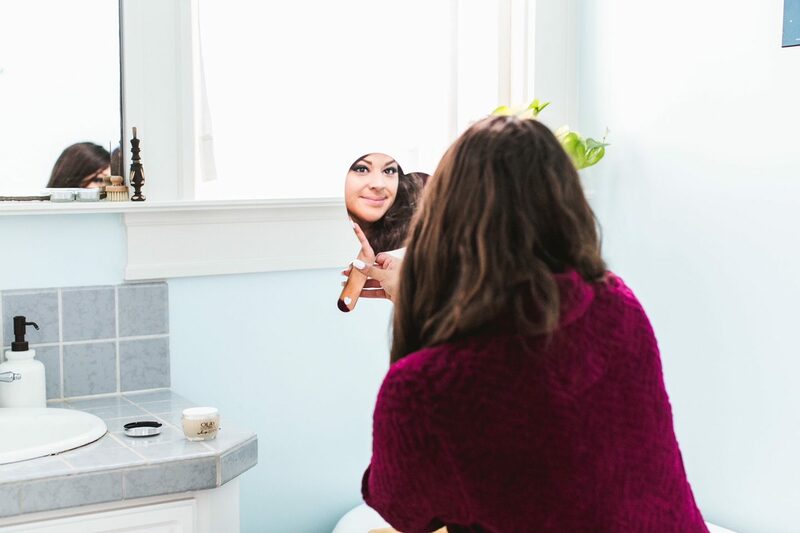 I’m always curious to hear how products I LOVE work for all of you!! Previous Post My Interview With Bride-To-Be Michelle! Next Post My San Francisco Checklist + Summer Style! 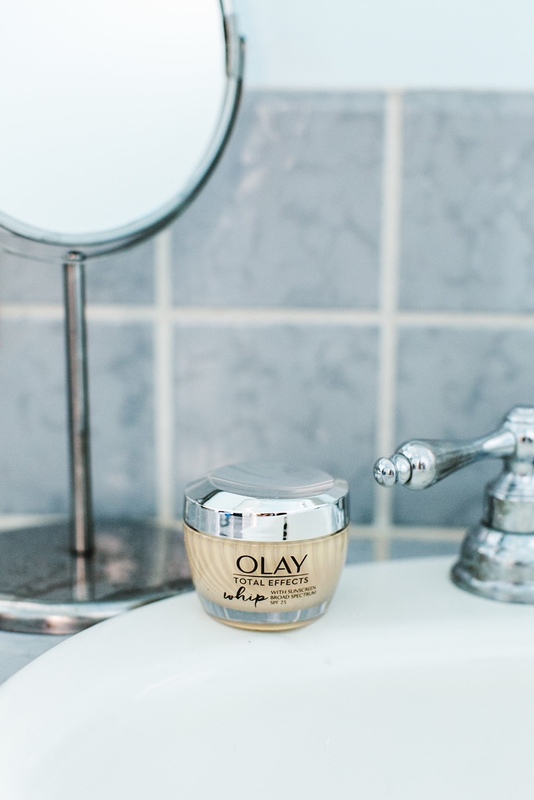 Thanks for the suggestion – I’m always looking for a good moisturizer that won’t break me out! Need to see if I can find it in my country too. Sounds like a good product! Ah I hope it is! It’s great!! I’ve heard lots of good reviews on this moisturizer! I love that it has SPF. Ohhhh! Need to try this one, my skin is so dry!